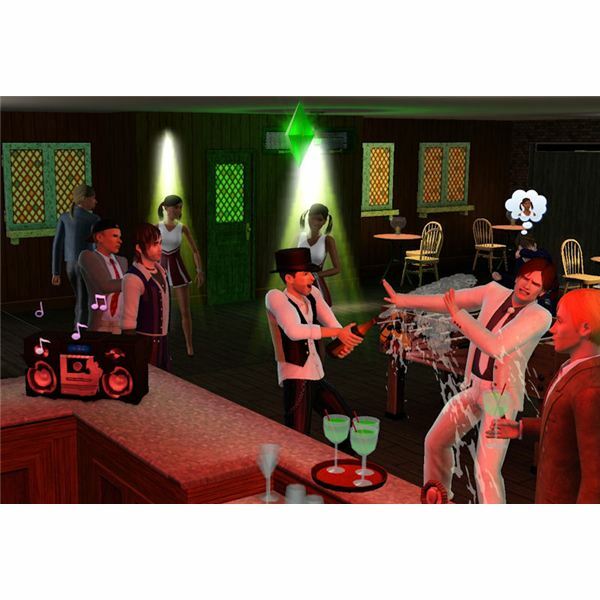 The different stages of life are a big part of “The Sims 3” game. 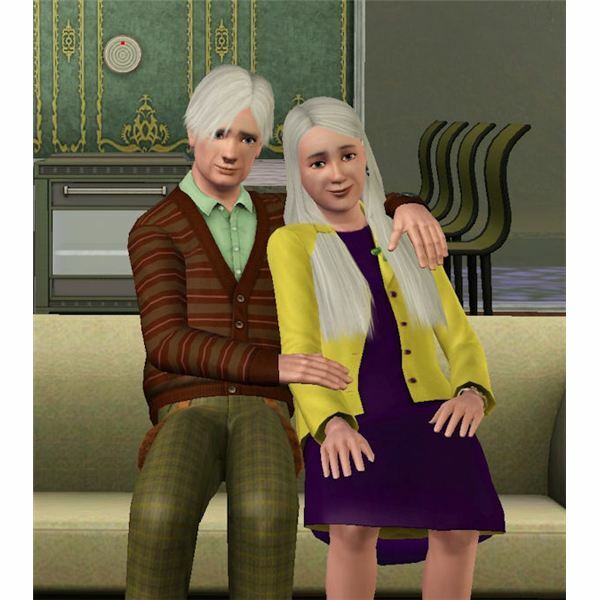 Sims in the game are able to grow up from being a baby to an elder. Some players even have a “Generation” style of gaming where they actually play with the aging turned on and don’t mess with it. These players tell full family stories and play with their Sims to see how they progress in the different The Sims 3 life stages that they encounter. 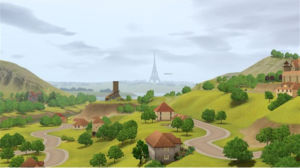 “The Sims 3: Generations” expansion pack is focused on the different ages that Sims are in the game and gave each stage new things to do and interact with. If you enjoy playing each stage of life for your Sims, this is really a must buy expansion for your game. Regardless of how long you have your game options set for each of the stages of life, you can override them by throwing a birthday party for your Sim and buying them the birthday cake. Simply have the selected Sim “Blow out candles” and they will age up to the next stage of life. When a Sim becomes pregnant from the “Try for Baby” romantic interaction or from adopting a child, you will have a new baby added to your family. When first born, they are an infant or a baby. They don’t do much but do require to be fed, have their diaper changed, and placed in a crib to go to sleep. They are wrapped in a blanket and if their needs are met, they really don’t require much care – but you can’t leave them home alone either. If no parent is home for babies or toddlers, be sure to hire a butler or call a babysitter. Note: With a patch that came out after the “Generations” expansion pack, all of The Sims 3 life stages can be changed to how long you want to play them as. The timespan listed in this article for each group is the base range for each length. Toddlers in the game are the first stage that you can plan and change their clothes. It is limited to only everyday, sleepwear and formal. Toddlers can be held and carried around by older Sims and enjoy the affection, so be sure to hold them when your Sims are talking to others and watching TV. This age group still sleeps in cribs, and they wear diapers. They will learn how to be potty trained, how to walk and talk at this age too. 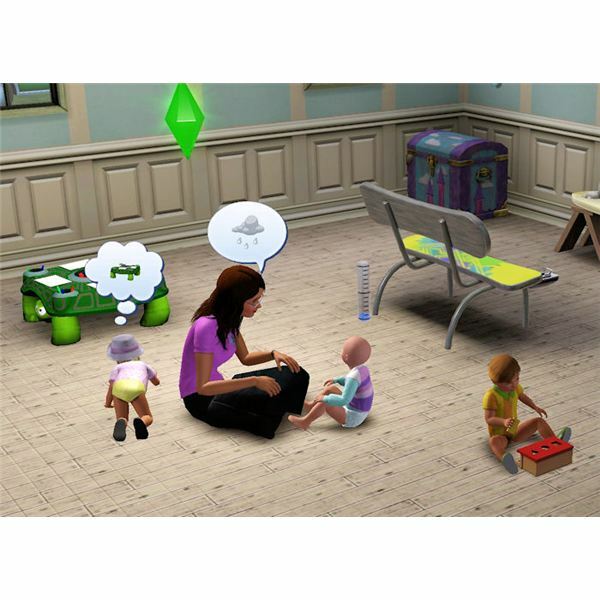 There are also certain objects that will teach Sims at a young age how to learn skills later when they grow up. They don’t show up as a toddler, but when learning them later in life, they do. Buy the xylophone, block table, blocks and books that are read to toddlers to gain these skills. Children in the game are the age where they start going to school. They can attend the local school or go away to a boarding school (with the “Generations” expansion pack). The Sims 3 after school activities are also available for kids to join with the “Generations” expansion pack. They can join ballet or the scouts. They get new outfits and skills that they can show off. They will also earn trophies for being a part of the group. They can also have an imaginary friend which can even grow into a real Sim. Children can go over to a friend’s house after school or one of their friends can show up at your house after school is out. A child can also throw a sleepover party where they can have other children come over and sleep in sleeping bags. Ghost stories and pizza aren’t required, but it does make for a better party. At this age, they can learn skills that show up in their skill journal (except gardening, charisma, and musical instruments) and can even select their Lifetime Wish. They can fulfill wishes to earn points and select rewards (not all are available to purchase with the points at this age though). Sims at this age can also have a bake sale with things they cooked, do their homework, play in a sandbox, play dress-up, set booby traps and play pranks and more. 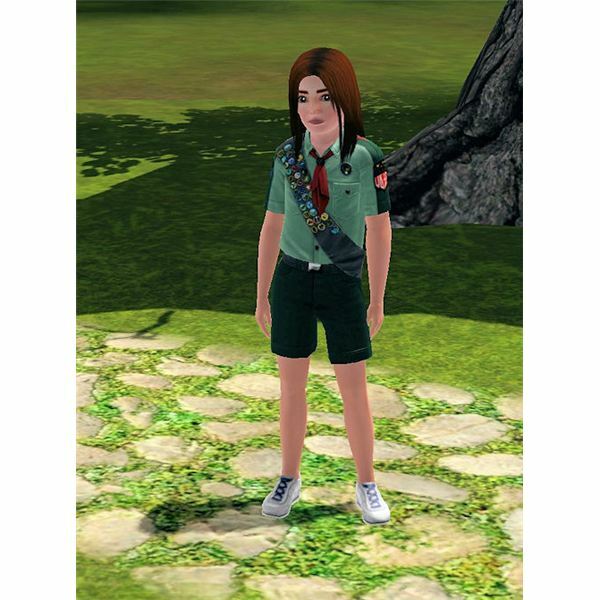 The teen age is where Sims are now able to hold a part-time job while attending high school. They are also able to go to a boarding school (with “Generations”). They are also able to date and have a boyfriend or a girlfriend. Teen Sims can’t WooHoo or get pregnant unless using The Sims 3 teen pregnancy mod. They can now learn all of the types of skills and many at this stage enjoy playing musical instruments and learning how to cool meals. Teenagers is a really fun life stage to play, especially with the “Generations” expansion pack because with it you can have them go to the prom, pull off more risky pranks, learn how to drive, snub other teens, and more. The Young Adult stage is the default age for Sims in “The Sims 3.” They can now WooHoo, become engaged, have a bachelor party, get married, own a home, have a career, have children, and even get bitten by a vampire. The Sims 3 dates are a romantic way for Sims to spend time together and can often lead to WooHoo with this age group which now allows Sims to get more intimate with one another, which is a rather large part of this age range. With the “Generations” expansion pack, before a Sim ages up to an Adult, they can also now have a Midlife Crisis. When a Young Adult ages to the Adult stage, you don’t really notice a difference physically. They have some wrinkles, but it isn’t enough to really notice unless looking really closely. Aside from that, they can do everything that Young Adults can. Note: If playing as one of the vampires, the adult Sim will be an adult on the normal setting for 105 days and if playing with the epic setting, they will be an adult for 1074 days. The elder stage is the oldest that a Sim can be. They have gray hair (which can be recolored later), have many wrinkles and walk slightly hunched over. If you have the “Generations” expansion pack, you can have them use a cane to move around faster. When a Sim is elderly they can’t give birth anymore, but a male can get a Young Adult or Adult female pregnant. They can also still adopt a child. Sims in this age group can still have a career or profession, but they can also retire. Sims at this age can now write historical books. Sims can die from old age. In fact, they will if you don’t use The Sims 3 Young Again potion made by the chemistry set in the “Generations” expansion pack. Elderly Sims can also eat the “Ambrosia” dish to turn the clock back to day one of being an elderly Sim. The only other way to keep elderly Sims from not dying on you from old age is to have the aging turned off in your “Game Options.” Elderly Sims that use the potion will return to the Young Adult stage of The Sims 3 life stages at day one. Pretty cool, huh?